Shopping with or for your teenage son can be painful. I don’t know many boys or men that enjoy shopping. 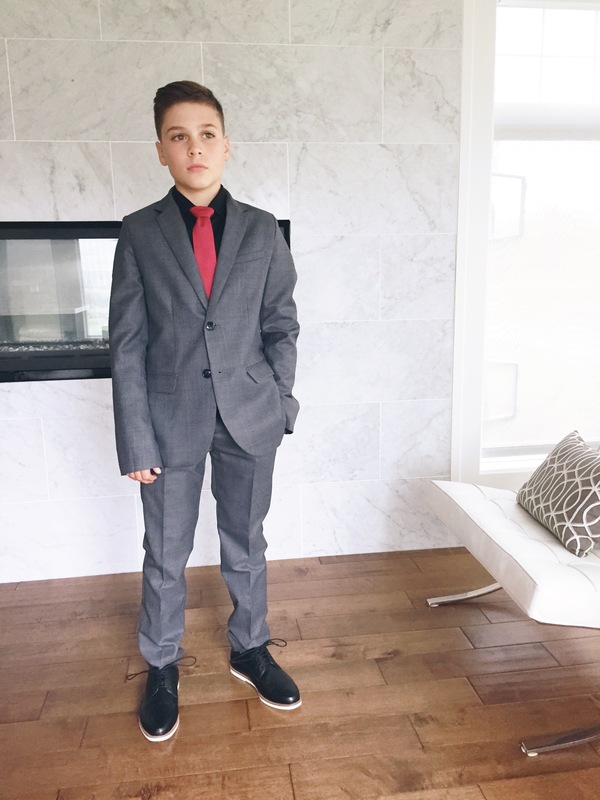 Mac recently needed a suit to wear to his hockey games. He’s at the awkward stage size wise….too big for kids but not quite big enough for mens. I didn’t want a shopping trip to end up with frustration and empty hands, so I had to get a strategy together…and quickly! Do online research – this will take you some time, but it will save so much time on shopping day. Take a look online, show him a few things you were thinking of. Find out what he likes. Call the stores and make sure that they carry the lines and items you are interested in – many items you see online may not be carried in the smaller stores. H & M for example, has several different collections and not all are carried in all stores. Put specific items on hold if possible – be prepared to stay on hold on the phone for awhile…customer service isn’t what it used to be! This is a huge time saver if you can just walk into the store and have your son try on what you’ve seen online. Make sure your teen is fueled up before you hit the shops…nothing productive will happen with a hungry, grumpy boy…seriously! Keep the shopping trip short, sweet and to the point – we women like to browse and wander around shops…this is not how men and boys operate. Once they have found what they think they need, they are done…and ready to eat again! We only had a few days to find Mac a suit. 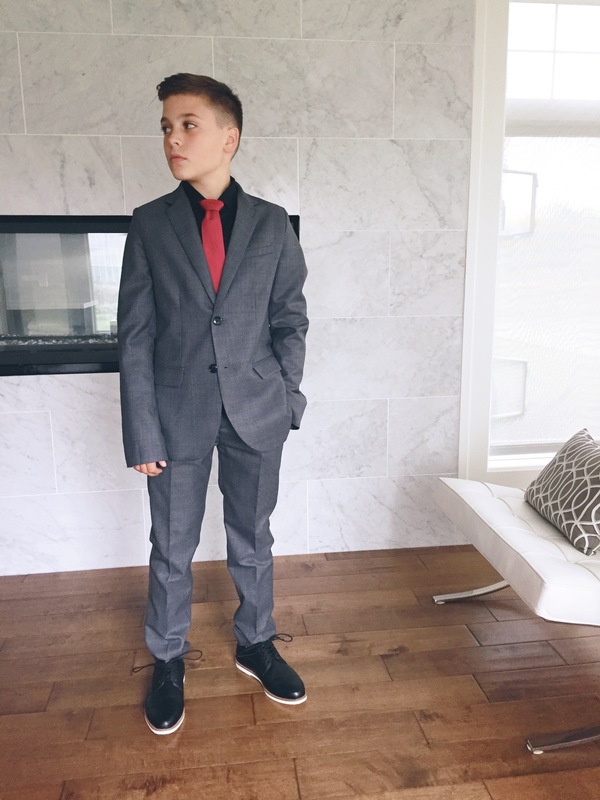 I found that Zara Kids has a great line of boys suits. 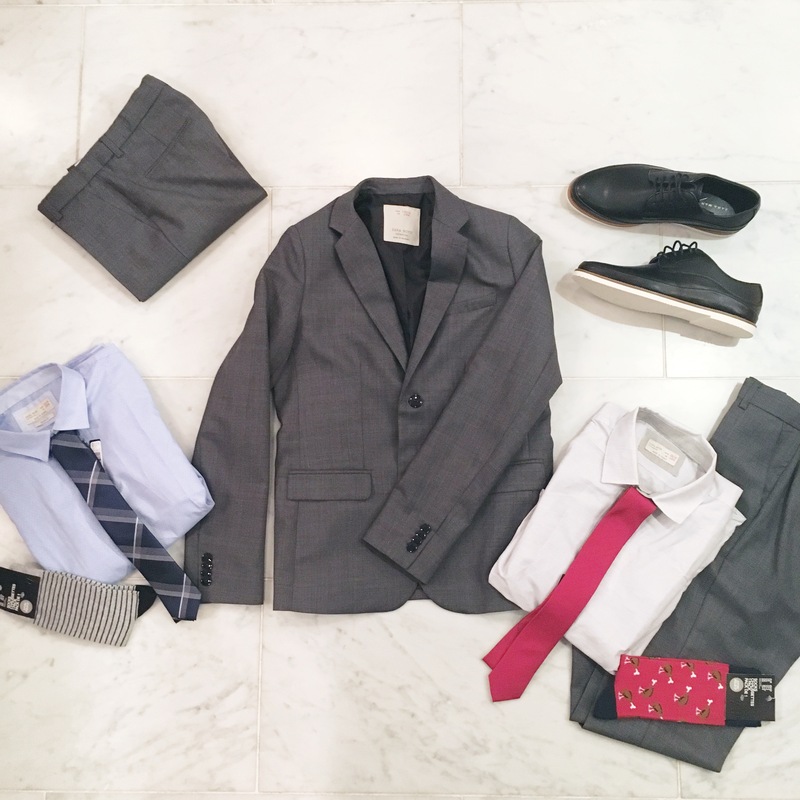 We bought a suit jacket that was a little bit big and a pair of pants that fit perfectly now as well as another pair the next size up so that the suit will last through the next growth spurt. The kids’ ties were too small, so we hit up RW & CO. Zara Men’s has a great selection of shoes and they start at a men’s size 7, so that was perfect for Mac. H & M is a great source for men’s accessories at very reasonable prices. The European stores are great for those teenage boys that are in between sizes as the European cuts tend to be smaller than the North American ones. If your teen is full on in men’s clothing, PK Subban of the Nashville Predators has put together a line of suiting at RW & CO. that is fashion-forward and yet comfortable too. Mac thinks it’s pretty cool. A little footwork in advance made for a painless, enjoyable and successful shopping trip, so I think Mac won’t be too resistant next time I suggest we get him some clothes…and if I promise to take him out for dinner too!